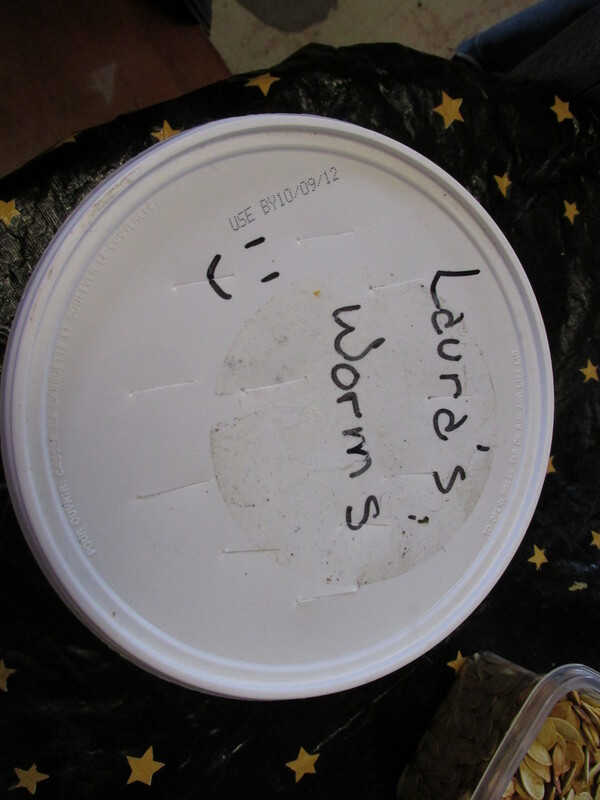 Luckily, I had shared worms with several friends, and Ms. J. still had some she was willing to share back. I am still happy with the content of the original post, but wish there were more pictures. So this time, I’ll be keeping a kind of photo journal of the process. Welcome. 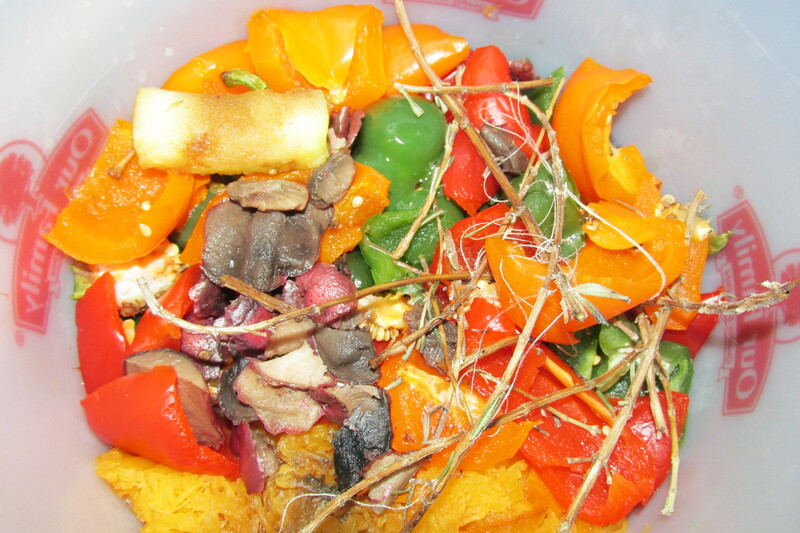 First, I keep my compostables (fruit and veggie scraps) in the freezer. It speeds up the decomp process and eliminates smell and fruit fly issues. Also, the smaller the chunks, the faster the worms can break it all down. 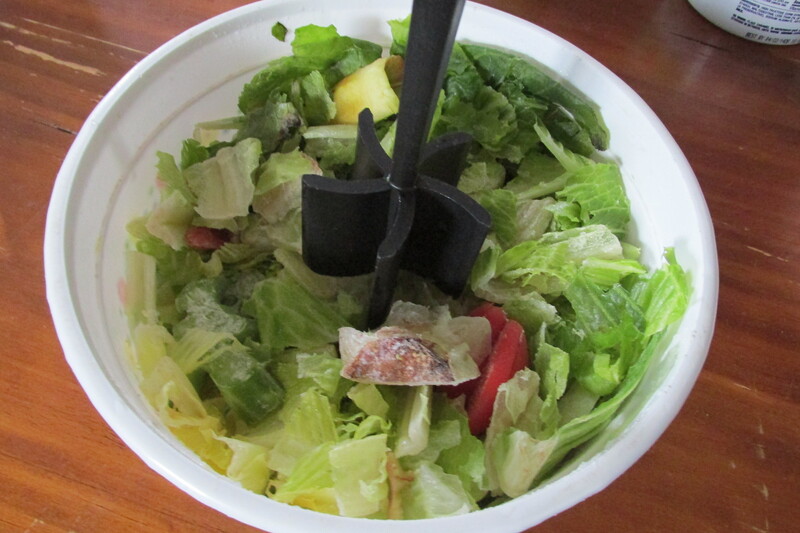 This Pampered Chef hamburger masheer thingy works GREAT to chop up frozen romaine. 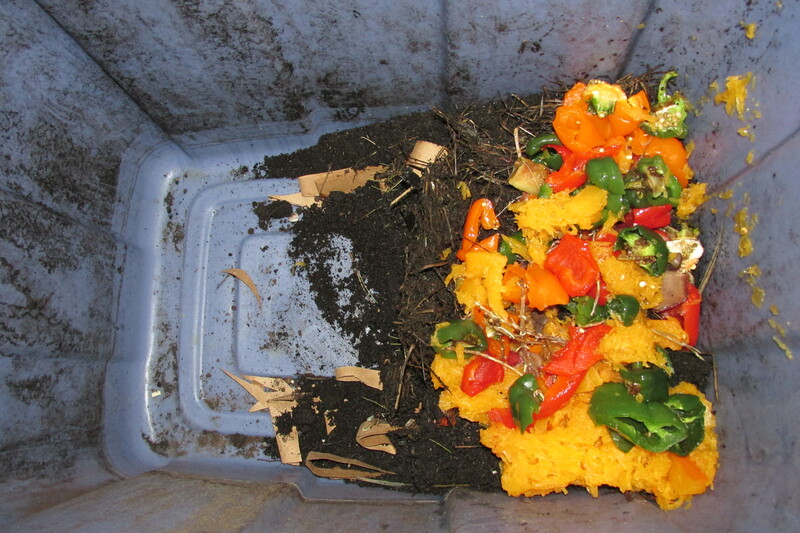 Please note: when adding compost to an indoor worm bin, thaw it out first or the worms could die. 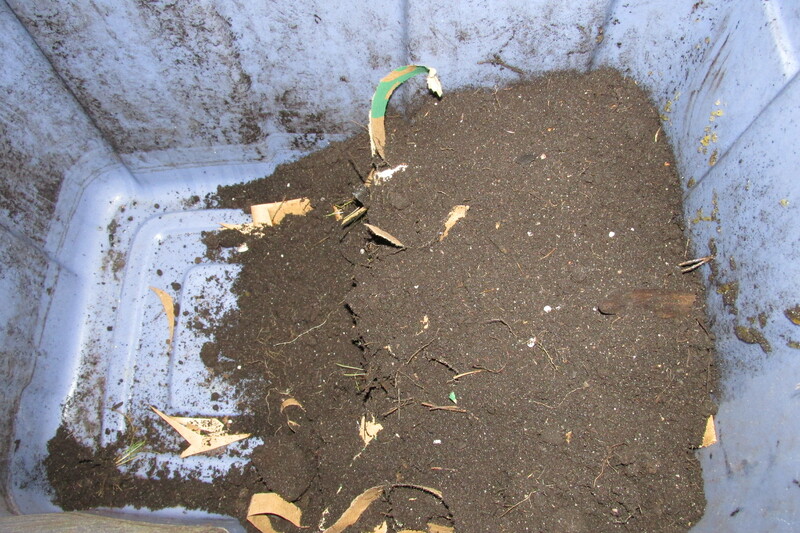 followed by more paper bag and finally 2-inch layer of black dirt.